The process of setting up a business can be exciting, since it involves having the necessary management skills, industry expertise, technical skills, finance, and a long-term dream to grow and succeed. 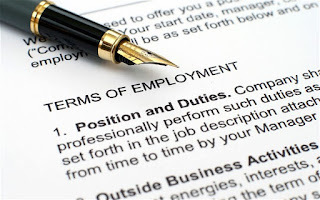 An important part of running any business, big or small, is legal compliance with employment law. Labour and employment laws are among the most carefully scrutinized being governed by Federal regulations. One of the biggest errors an employer can make is underestimating the significance of complying with employment laws. This can have negative consequences, especially if the business is audited and are found to be non-compliant. To get everything right will often mean keeping in touch with current developments, thinking out company policies and implementing them carefully. To get something wrong could be particularly expensive. Most businesses use the services of a law firm to help ensure that they stay within the law. Although large business can afford to keep the up to date and in compliance with labour laws, the same cannot be the same for small businesses. However, the lack of resources is no excuse from dealing with these issues. Furthermore, the umbrella of labour laws that covers all businesses is quite extensive. Every employer needs to be aware of this, even before hiring the first employee since it brings with it new areas for compliance in employment and labour laws, covering everything from discrimination and harassment, the number of hours worked, wages and workers compensation. Both small business and large corporations are subject to the same collection of rules and regulations. These rules and regulations need constant monitoring as they are being revised and kept up-to- date. Using guidelines found in federal and state employment laws, businesses must make sure that they comply with employment laws and then make sure to inform their employees about any changes. Even if a company is not necessarily affected by an amendment or new regulation, it is still a good practice to keep employees informed and become involved. Compliance with employment laws keeps the workforce happier and productive.